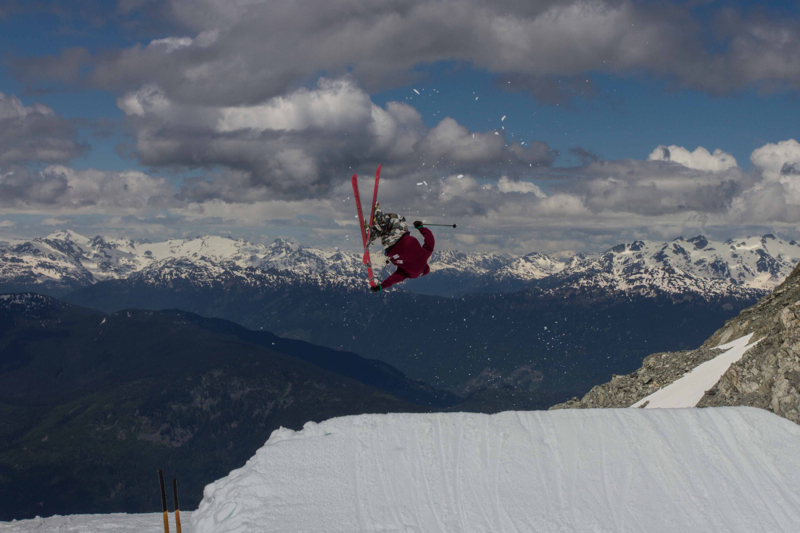 Whistler, BC June 25 2013 – Momentum Camps kicked off their 22nd summer season in Whistler this week, welcoming national teams from around the world to train and coach with them in the build up to the 2014 Sochi Olympics. 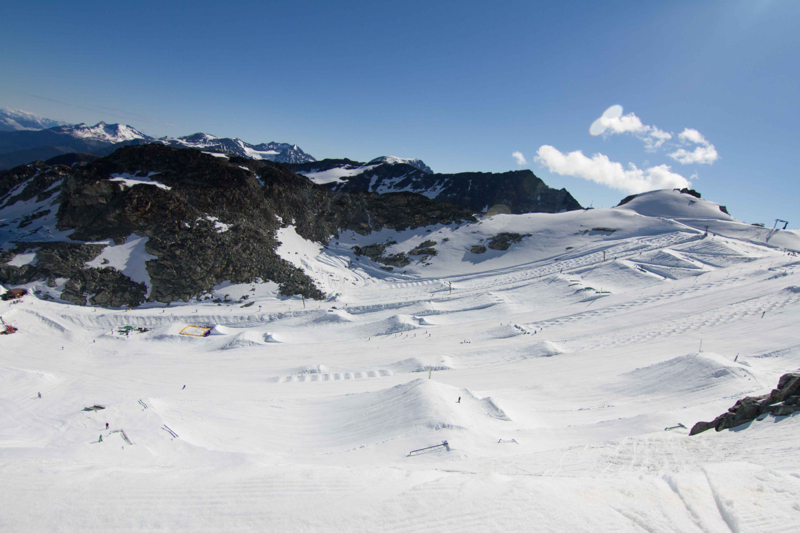 National Teams and athletes from Canada, USA, Russia, Great Britain, New Zealand, Brazil, Japan and Australia will be training in the 22′ halfpipe and in the newly expanded private terrain park. World Cup and World Mogul Champion Mikael Kingsbury will be coaching during Session 2, before focussing on his own summer training and bid to follow teammate Alex Bilodeau’s 2010 Olympic gold success story. 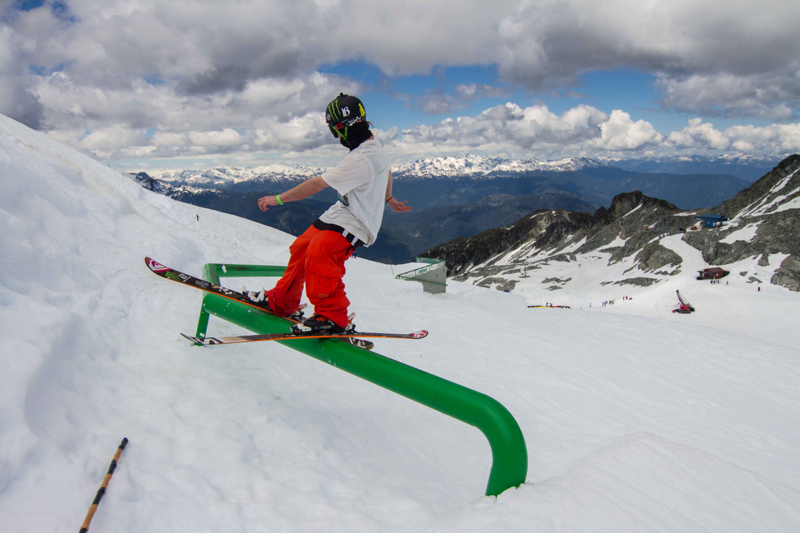 X Games medalist and World Cup Champion James Woods will be with Momentum all summer hoping to be the first Brit ever to win an Olympic skiing medal in the new discipline of Slopestyle. US Slopestyle stars Gus Kenworthy and Tom Wallisch will also be training and mentoring during Sessions 3 and 4. James Woodsy Woods on the the double elbow. World and X Games Champion Roz Groenewoud, along with 2 x Olympian Tami Bradley head up Momentum’s Girls Week, July 5 – 13 when over 50 young ladies will be joining the regular camp for a special girls session. Tami Bradley and her mogul group. Other top coaches include Canadian Team Members Mike Riddle, Justin Dorey, Matt Margetts, along with US pros Colby West, Peter Olenick and newly crowned ABC ‘Splash Champion’ Rory Bushfield. Up and coming stars Noah Bowman, Noah Morrison, Vincent Gagnier and US mogul skier Sho Kashima also join the crew this year. It looks like the Adults will be having as much fun as the kids with a high energy group of like minded skiers converging from from all over the World in Whistler for the final week of camp, July 21 – 29. The adult camps are geared for recreational skiers passionate about moguls or park and combine high-end coaching in the mornings with a fun variety of Whistler’s activities in the afternoon, followed by legendary apres in the evenings. The best part is there are no rules! Watch the video HERE. 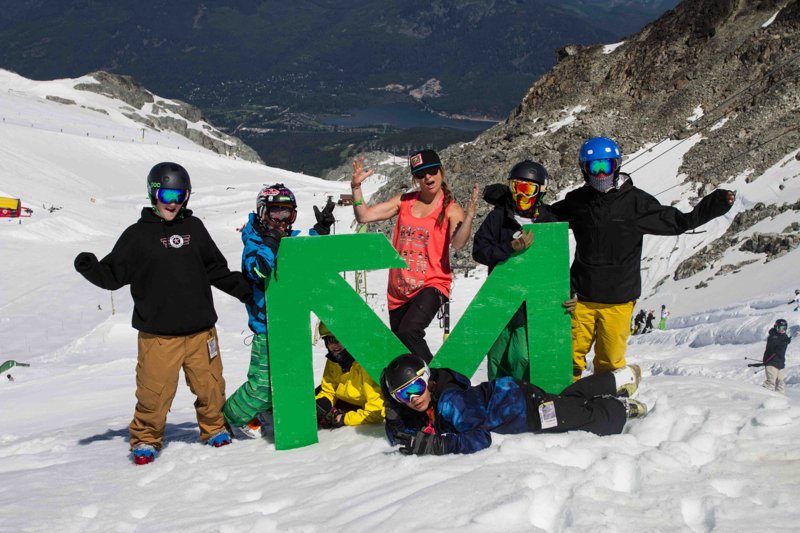 Momentum runs summer freestyle ski camps in Whistler, Canada from June 21 – July 29th, geared for both competitive and recreational skiers of all ages.